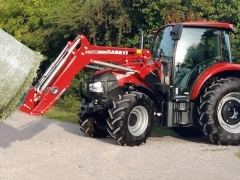 With an extensive range of factory options, including transmissions, hydraulic and PTO, and agricultural, turf or industrial tyres, Farmall C tractors can be delivered fully equipped and ready to work. 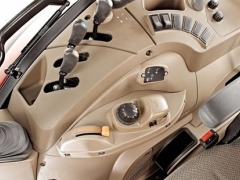 In addition, cab versions can be customised with factory installed high performance anti-pollen filtration to suit the intended application. With an extensive range of factory options, Farmall C tractors are ready for all kinds of agricultural, municipal and industrial tasks. Various options for tyres, hydraulic connections, front linkage and loader allow for a broad spectrum of jobs to be performed. 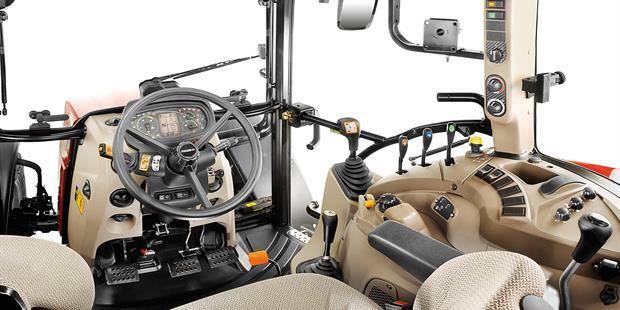 Wide opening glass doors and a full height cab entrance make it easy to enter the cab from either side. Ergonomic design with a driver seat that is fully adjustable, a foldable and comfortable passenger seat, flat floor, low noise level and the option of air conditioning add up to make the Farmall C a joy to drive. 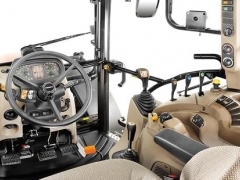 The controls are laid out logically, so that operation becomes instinctive, making the Farmall C suitable for casual drivers as well as owner operators. 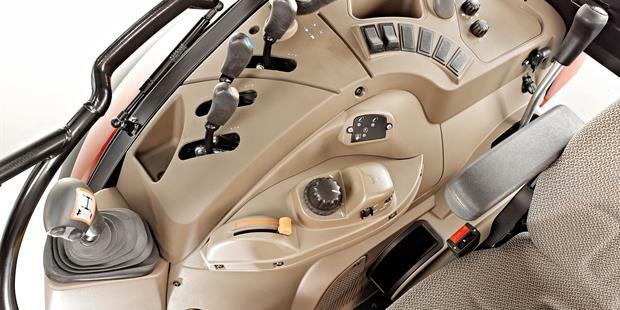 All frequently used controls, such as gear lever, hand throttle and the optional integrated loader joystick, are placed within easy reach on the right hand console. The instrumentation cluster adjusts with the steering wheel and combines analogue gauges with digital displays for optimum overview. 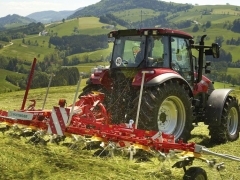 The Farmall C is designed to provide unsurpassed sight lines with unobstructed views of the work area and implements. An opening high-visibility roof window provides excellent visibility for loader work. The fully adjustable work lights, integrated into the roof for protection, will give you all the lighting you need to keep working after dark. As an option, the Farmall C is also available as a platform version with foldable ROPS frame instead of a cabin. Proven turbocharged engines with high-pressure common rail injection technology deliver more power at reduced fuel consumption. All models meet Stage IIIB emissions standards with an exhaust after-treatment system. Electronic fuel delivery ensures fast acceleration, more torque and constant maximum power. With a rear linkage capacity up to 3,700 kg and separate hydraulic circuits for steering and external services, Farmall C is never short on ability. With a choice of up to three rear and two mid-mounted hydraulic remote valves, hydraulic flow can be directed as required to control a wide range of equipment. The Farmall C comes ready for perfect front loader operation. Choice of PTO speeds from simple 540 to 540E/1,000, including ground speed PTO and a new power curve that is perfectly aligned to PTO work, the Farmall C puts you in a position to handle the work of all seasons. Furthermore, the rated speed of the PTO has been adapted to a lower and more efficient engine speed. 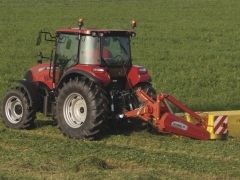 Farmall C can be specified with factory fitted wide low ground pressure tyres for fine turf work on golf courses, non-aggressive turf patterns for sports pitches, industrial block pattern tyres for continual road work or conventional agricultural tyres. With a large choice of tyres, four wheel drive and 100% differential lock on both front and rear axles, the power is put to the ground for ultimate productivity.